This entry was posted on February 4, 2015 by admin. The aches and pains we experience after a workout are anything but enjoyable. From washing our hair, to picking up dirty laundry, to sitting down at our desk, sore muscles make it difficult to do simple daily tasks. Don’t let sore muscles interfere with your life, or deter you from your next workout. Ease your pain with these six tips to keep you on your feet and moving! 1. Roll With It: If you haven’t heard about foam rollers, now is the time to pay attention! Like a massage, foam rollers increase blood flow to your muscles through applied pressure. Based on where you feel the most pain, you can decide on which areas to focus. There are even foam roller workouts to address all-over pain that provide relief to your aching muscles. 2. Choose The Right Painkiller: If you want to try an over-the-counter painkiller to help ease aching muscles, reach for acetaminophen instead of ibuprofen or other non-steroidal anti-inflammatory drugs. Although the latter may help with the pain, they’ll stop your body’s production of prostaglandins, a group of lipid compounds which help the muscles heal. Acetaminophen will help you manage the pain, while allowing your muscles the ability to repair themselves. 3. Don’t Forget To Stretch: To relax and lengthen tight muscles, add some stretches after a quick warm-up. By going for a 5 minute walk before stretching, you can help prevent injury that is common from “cold” muscle stretching. 4. Heat It Up: Soaking in a warm bath or applying a heating pad to sore muscles can increase blood flow to the area, providing relief and encouraging your muscles in the repair process. 5. The Power Of Omega 3: To ease inflammation and reduce soreness after a strength-training workout, take a fish oil pill, like Ultimate Omega 3 Fish Oil once a day. Ultimate Omega 3 Fish Oil comes from Norwegian fish oil, which is of the highest quality, free of mercury and PCB. Besides muscle repair, fish oil is also used for healthy heart function, regulating cholesterol, neurological support, immune and joint support, and promoting healthy hair, skin and nails. 6. Keep It Up: Although our sore muscles try to tempt us to skip the next workout, light exercise is one of the best ways to work our sore muscles. It is thought that exercise eases muscle aches because it increases circulation to the muscles, speeding up the body’s ability to rid it of the metabolic waste and chemicals linked to muscle pain. Research has also shown that increased blood flow boosts delivery of nutrients to damaged muscles, making tissue more elastic, increasing our range of motion, which can ease soreness and speed recovery. Just remember the recovery exercises should be less intense than the original workout, although addressing the same muscle group. If you’re sore all over, opt for light cardio on the elliptical machine or seek advice from a doctor or fitness expert on which exercises are best for you. 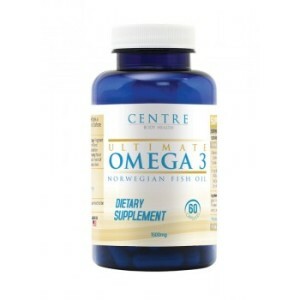 Our mission at AndsTrim is to provide our customers with the highest quality of all natural supplements, including Ultimate Omega 3 Fish Oil, at affordable prices. We stock only the finest and most effective supplements to assist you in reaching your weight loss goals and overall well-being.